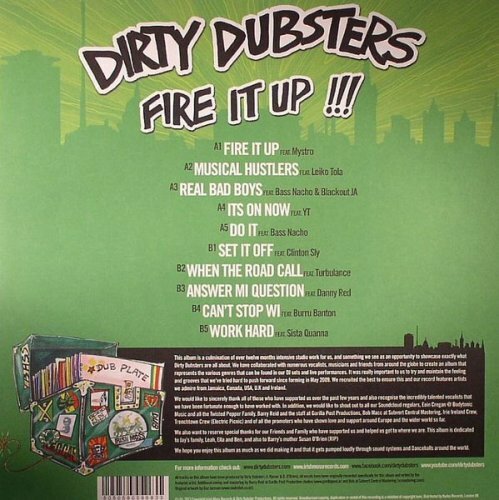 Dirty Dubsters Debut album: 'Fire it up' is the combined studio efforts of Dublin's DJ OBese + Jay Sharp. The two have been making all manner of Reggae-style Bass Music since May 2009. The album enlists the vocal assistence of MC's and vocalists from Jamaica, UK, USA, Canada and Ireland. Since the first single which landed early this year 'Fire it up' has garned much support already with an official video for the title track with UK Hiphop Don MC Mystro which has landed on many blogs such as Monkey Boxing, Tropical Bass and getting airplay from RTE Pulse, Ireland and BBC Radio 1 UK while, the second single with Jamaican Dancehall veteran Burro Banton landed on the hype machine, Hot Press and Mad Desent blogs among others. 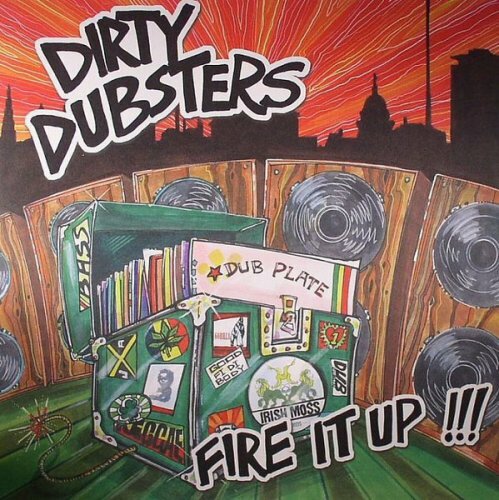 The album sets out to represent the various genres the Dubsters like to represent in their DJ shows all with the trademark Reggae stamp on it. Featuring, Lyrics By: MC Y.T.